You Asked . . . I love getting on my blog to read the comments you leave. I’m not able to do it nearly as much as I’d like, but every time I do, my heart is warmed as I feel of your concern, support, and love. I enjoy reading your questions as well. While I don’t have the time to answer them all, I will try to answer as many as I can. I thought I’d start by answering a handful today. Will Phoebe attend convention next year? I smiled when I read this one. I don’t even have to ask Shalae about this—I know the answer already. While my girls will bring babies who are still breastfeeding to convention, once a baby is weaned, convention becomes sacred ground—for adults only! The girls love the chance to spend time with grown-up family members—which includes you, by the way! Sterling and I, along with our girls and their husbands, love to spend what time we can during convention together, eating, chatting, just enjoying a few brief days without our youngsters. Don’t get me wrong—we love those children, but it’s nice to have a little time set aside for just the grown-ups, and that is what convention is for us. So, I feel fairly confident in saying that Phoebe will not be winning your hearts at convention. But you can bet you’ll see plenty of her right here at SoShelli.com! How did Megan get her name? I’m assuming you ask this question because our other four girls all have names that begin with “S,” right? Megan is our oldest daughter, and Sterling actually brought her with him into the marriage. Yep, I’m a stepmother, although Megan assures me that I’m not a wicked stepmother! We didn’t plan from the beginning to use “S” names for the rest of the girls. We loved the name Sara, and so we named our first baby that. And when we were expecting our second baby, there were several “S” names on the potential name list, and since our names started with “S,” at that point we decided to go with it. So that’s the story. 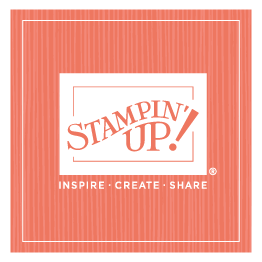 How did we choose the name Stampin’ Up!? Vonna, Sean (Vonna’s husband), Sterling, and I were literally sitting around one day brainstorming names for the company. We wanted something catchy, upbeat, and positive. At that time, our primary (and practically only) focus was stamps; we had a few papers and ink, but nothing worth mentioning. And at the time, we weren’t really planning on doing much more than stamps (how times have changed!). It was Sean who came up with the name, and it sounded perfect the minute he said it. We added the exclamation point because we thought that emphasized the energy and passion we felt that we wanted to share with others. An artist friend came up with the logo, which also had a light, happy feel to it. And the rest is history! Do I have my clothes made for me? Heavens, no! That would take away all the fun of shopping! And I do enjoy shopping, hunting for a bargain and finding that perfect outfit that I love. My tastes and styles have changed over the years; I’m sure much like yours do. For several years I loved Ann Taylor, but my new favorite clothes stores are Anthropology and Dear Lizzie (you’ve probably heard me mention Dear Lizzie several times!). Will I ever design fabric? While I’d love to design fabric, there are no current plans in the works for that. I manage to find plenty to do without adding that on my plate! However, you’ve also probably heard me say, on more than one occasion, never say never. So don’t hold your breath, but don’t close the door. Does the jacket I’m wearing in the photo at the top of this page feature Stampin’ Up! artwork? Isn’t that funny that so many of you asked that? Frankly, I can’t remember which I saw first—the jacket or our artwork that features similar images. I loved both, but the similarities are only that—similarities. The two are not connected at all.